J.K Rowling was born in Chipping Sodbury, July 31st, 1965. Her childhood was generally happy, although she does remember getting teased because of her name, “Rowling” – She recalls often getting called “Rowling pin” by her less than ingenious school friends. 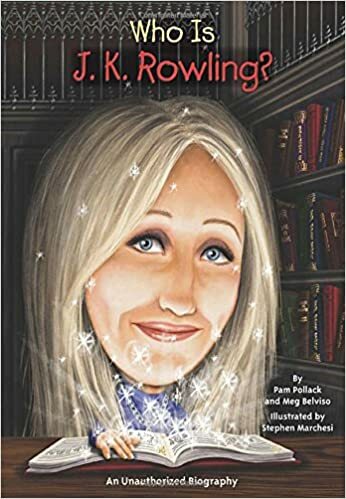 J.K. Rowling says she never really warmed to her own name, although, she does remember having a fondness for the name Potter from quite an early age. J.K.Rowling studied at St Michael’s Primary School in Gloucestershire, before moving to Chepstow, South Wales at the age of nine. In her own autobiography, she remembers with great fondness, when her good friend Sean became the first person to give her the confidence that one day she would be able to make a very good writer. After having spent a year in Paris, J.K.Rowling graduated from university and took various jobs in London. One of her favourite jobs was working for Amnesty International; the charity, which campaigns against human rights abuses throughout the world. Amnesty International, is one of the many charities, which J.K.Rowling has generously supported since she attained a new found wealth. In 1991, J.K.Rowling left England to get a job as an English teacher in Portugal. It was here that she met her first husband, Jorge Arantes – and together they had a child Jessica. However, after a couple of years, the couple split after a fierce argument; where by all accounts J.K.Rowling was thrown out of the house. Within a few weeks of publication, (1996) book sales really started to take off. The initial print run was of only 1,000 – 500 of which went to libraries. First editions are now said to be worth up to £25,000 each. 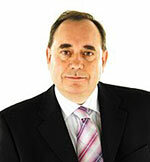 She also received a grant from the Scottish arts council, which enabled her to write full time. After the books initial success in the UK, an American company Scholastic agreed to pay a remarkable £100,000 for the rights to publish in America. In 1998, Warner Bros secured the film rights to the books, giving a seven-figure sum. 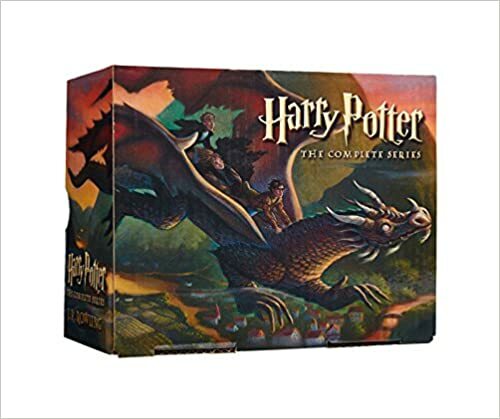 The films have magnified the success of the books, making Harry Potter into one of the most recognisable media products. Under the close guidance of J.K.Rowling, the films have sought to stay close to the original plot; also at J.K.Rowling’s request all the actors are British and are filmed in Britain. On the 21st December 2006, J.K.Rowling finished her final book of the Harry Potter Series – “Harry Potter and the Deathly Hallows” (Amazon). The book was released in July 2007, becoming one of the fastest selling books of all time. J.K.Rowling has said the book is her favourite, and it makes her both happy and sad. She has said she will continue writing but there is little chance of continuing the Harry Potter Series. She has published a dictionary of things related to Hogwarts and Harry Potter, that were never published in other books. Since the end of her Harry Potter series, she says she has finished some short stories, she also hinted on the Oprah Winfrey Show in 1st October 2010, that an 8th book in the Harry Potter series is a possibility. On 27 September 2012, Rowling released the ‘Casual Vacancy’ an adult novel – to mixed reviews. In 2013, The Cuckoo’s Calling was published. Initially, the author was stated as being Robert Galbraith. But, this was a pseudonym used by J.K.Rowling. After her authorship was discovered, sales went through the roof. 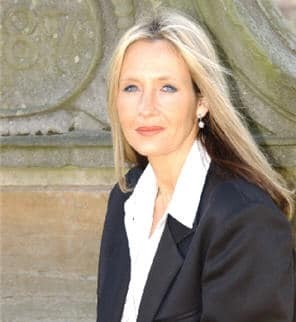 J.K.Rowling currently lives in Scotland, on the banks of the river Tay, with her 2nd husband Neil Murray; J.K.Rowling has three children, two with husband Neil. In 2017, according to Forbes, her estimated wealth stands at $650 million, it would be higher but she has donated substantial sums to charity. The global Harry Potter brand is estimated to be worth £7 billion. She has publically supported the Labour party. In 2008, she donated £1 million to the Labour party, saying she felt vulnerable families would be better off under a Labour government. She describes her political hero as Robert F.Kennedy. J.K.Rowling states that she considers herself a Christian, and attends a local Church of Scotland congregation. She said, that unlike other members in her family, she often had a deep interest in religion, and would go to churches alone. However, she also says that although she believes in God, at times she doubts her faith. Citation: Pettinger, Tejvan. “Biography J.K. Rowling”, Oxford, UK. www.biographyonline.net – 12th Dec. 2016, Last Updated. 6th November 2017.